This part of the garden is scary. 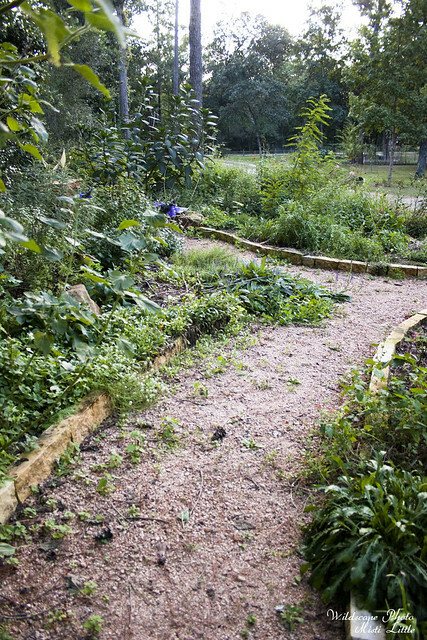 The path is full of weeds and weeds have overtaken the some sections of the garden. Nevermind that the armadillos showed back up sometime last week and did some more jacking up of the garden. Ah, how nice it will be to bend down to pick up weeds in cooler weather. I’ll be bending down to pick up weeds, probably, before it gets cool again. We’ve had heat advisory days most days in the last week and none of those afternoon storms that get just so close end up coming over our house. August in Texas…yep, that’s where we’re at.